It seems like the comedians have run out their ways to make people laugh and are now entertaining the audience with their grapples on the social media. 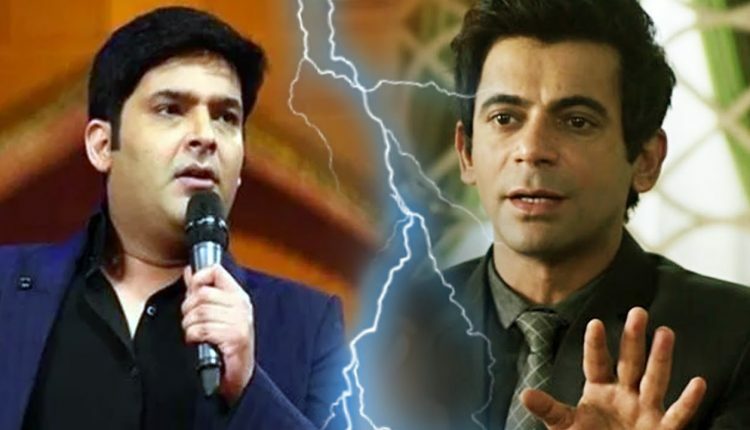 Yes, you are right, Kapil Sharma and Sunil Grover, a.k.a Gutthi has once again come to grips with each other on Twitter. It has almost been more than a year when Sunil had some clashes with Kapil Sharma and he left the show. Following the suit of which, many other also quit, resulting in the show being called off the air, blaming Kapil for it. Now, Kapil Sharma, after two successful comedy shows, ‘Comedy Nights with Kapil’ and ‘The Kapil Sharma Show’ is now coming up with another show named ‘Family time with Kapil’. With the news of the new show, soon to be aired on television, Sunil was approached by many fans, asking whether he will be featuring in this show? Responding to the queries of the fans, Sunil Tweeted back that Kapil did not reach him out to join the show. He said that though he was waiting for a call from Kapil, he was not contacted and sarcastically added that his contact number was still the same. This statement of Sunil has once again added the fuel in the already prevailing cold war between Sunil and Kapil. Furious at his comment Kapil tweeted back, not bothering to keep anything private anymore. He alleged that Sunil is a liar and he himself had called him and tried to contact him many times. “Yes ..he is lying .. I called him 100 times n sent my people to his home ..even I went to his home to meet him for the show .. but now I will not let anybody take any advantage on my name .. enough is enough….Paji I called u more than 100 times n came to ur house to meet u twice .. every time u were out for some show n all .. pls don’t spread rumours that I didn’t call u,” Kapil tweeted.